That’s right, today marks the first official day of Fall…which means it’s socially acceptable to eat pumpkin spice everything, wear your boots (weather permitting), and decorate your home with Fall colors and decor. However, just because it’s Fall it doesn’t mean you have to style your home with pumpkins, leaves, and orange hues. Opt for a sophisticated look with rich velvet, cozy blankets and textures, plaid patterns, and jewel tones. 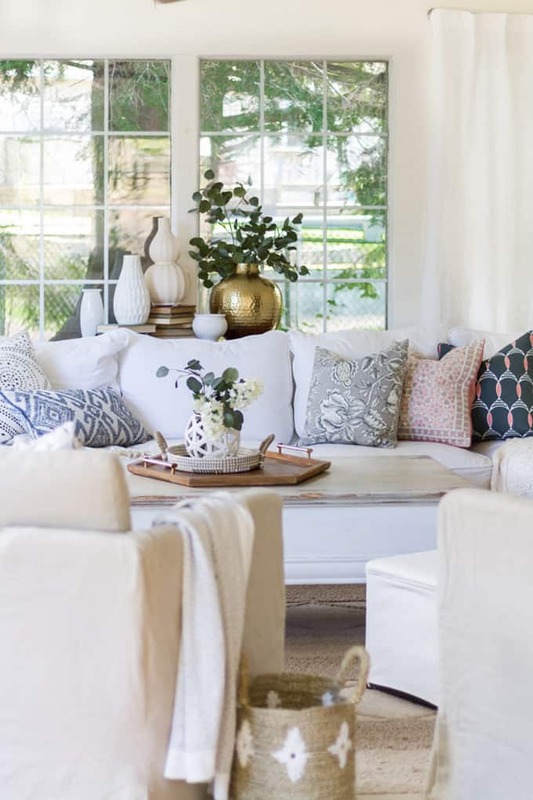 Check out these cozy and beautiful interiors, definitely ready for Fall weather! Hey Nandina team! Thanks for sharing your inspiring fall decor looks. We’ve featured your blog on Studio Designer’s Facebook – https://www.facebook.com/StudioWebware/posts/2029385490408676 – and Twitter – https://twitter.com/studiowebware/status/915294131202805761 (as we always do because we love your design tips!). Wow! Thank you Cherry! It is so rewarding to get comments like yours.